Synopsis: With an ancient love master’s help yellow love briefly is explained, its commonness noted, how those who don’t suffer from it are different, and a five point cure is described for those who do. Yellow love like yellow fever (which makes you jaundiced with yellow skin) was seen as an all too common love-relationship affliction. Its symptoms sneak up on people causing love relationships to be d-energized, depleted, dull, dragging and depressed. It makes one subject to low-grade emotional illness, lack of happiness, lack of closeness, romantically and sexually less active and less enjoyably interactive with those you love. Yellow love also can make life and love seem considerably less enriching and worthwhile than they once were. Worst of all, many people believe this is just what happens in a love relationship as it goes on over time. So they accept this affliction as normal. Rumi and the Sufi masters of old saw that this did not have to be. Modern love relationship research agrees. There are all sorts of love relationships in which people continue to be, in an ongoing way, energized and enriched by love-filled interactions. There are couples who after 40 years together still have a lot to pleasurably say to each other. They quite frequently, pleasurably and playfully interact with each other in ever-varying ways, want to be around each other and to continue to actively behave in ways that can only be described as love filled. Much the same can be said about a great many love-filled friendships, families, relationships with and between pets and don’t forget healthy self-love relationships. In all these, yellow love is not a problem. 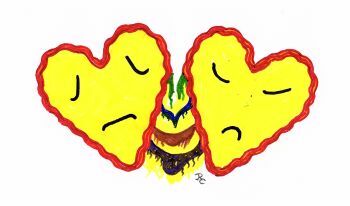 We must admit that sometimes yellow love symptoms stem from a lack of real love and a false love condition which exists. However, in many cases real love started the relationship and continues in the participant’s hearts but a yellow love condition is slowly seeping in and taking over. What makes the difference is that those people in love relationships in which the yellow love affliction does not happen, are relationships which do not rely on love being something that takes care of itself. Instead, the participants continually work to learn about love, work on practicing what they learned, especially work on honing their skills at giving and getting love, jointly work to fill their interactions with healthy, real love and both individually and jointly work to eliminate anti-love problems as they arise. In short, they keep working at their love relationships. Can Yellow Love Be Cured and, If so, How? 1. 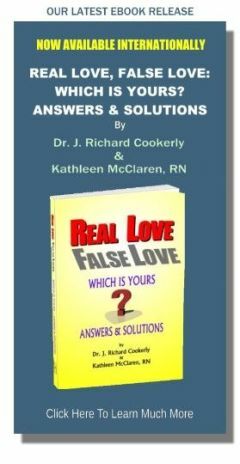 Individually and jointly accept that ongoing, healthy, real love must be worked on continually. It will not automatically take care of itself, is not magically maintained or automatically improved. The work can be done so harmoniously it doesn’t seem like work at all, and maybe even sometimes seems more like play. Like everything else worthwhile, it takes work. Doing the work jointly in loving teamwork is faster and better but individual work is also required. Much of this work is to be done with joy, happiness, satisfaction and a sense of fulfillment. Those positive elements in fact must be included as some of the goals involved in that work. 2. Continually and often happily, study love and how it can be done well, freshly, deeper, higher and more broadly. Think about how people get good at anything enriching or important. They study, or in other words, get into it, learn more and more about it and its variations, applications and manifestations. 3. Continually experiment and practice what you are learning about love. It is not just a mental learning but in action-practice learning. Like a good craftsman, sportsman, artist, scientist, etc., with joy practicing and experimenting for variation and improvement is magnificently ongoing and endless. 4. Whenever possible, work jointly as well as individually. Love relationships best take working and learning through two or more person relationship actions. This is how harmonious, cooperative and victorious teamwork is developed. A love relationship is best done as a team effort that requires team members to learn and work as a team together in interaction. Add to that, individual work on and with yourself about how you give and get love to everyone including to yourself. 5. Work together and individually on the anti-love problems which come along in your life, preferably as they arise. Problems left un-dealt with often get worse. This usually is done with much honest self-disclosure, openness, a lack of secrecy and lots of tolerational love (see Behaviors of Love: the Basic Core Four). If problems persist, seek help preferably jointly. Couples and family therapy, parent guidance counseling and relational psychotherapy are increasingly working wonders with many. Yellow love essentially is underdone and poorly done love. Love must be actively and enjoyably engaged in. If you are not enjoying and helping those you love experience love enjoyably, at least much of the time, something is missing. It is sort of like swimming. You have to get in the water and practice it to really experientially know and have it. The more you do that the more you can just jump in and have fun doing it. If you just settle for wading in the shallows, it will not be near what it could be. In swimming, those who learn and practice all nine basic strokes, learn to dive and swim underwater, learn the skills of long-distance swimming, etc. get to have the most fun and also are safest. Yes, love is much like that. In case you’re interested, you might want to read The Sufi Path of Love, the Spiritual Teachings of Rumi by William C. Chittick. and/or The Love Poems of Rumi by Deepak Chopra. ♥ Love Success Question: Are your ways and skills of giving and getting love growing and improving or are they a bit stale, rusty, blah and maybe becoming a little yellow?